If you are going to get Inked on your body, Wrist, legs related to travel design, then here are 22 best example photos for people who love to Travel. Now these Days "Wanderlust" is a trendy word which means a strong desire to travel. Everyone travelling around the world like Paris, New York and they want something to remember of that trip, so they convey it with their tattoo. These lifetime tattoos makes you more beautiful and insist you to travel. So Have a Look on these Travel Tattoo Designs, Hope you like it. 3. Who Wants the Whole World in their Hands. 4. World Map on Wrist. 5. To Fill your world map with dots of where you have been. 7. To Remember your Motto. 8. For All those who cannot live without travel. 10. Inspirational Words to live by. 11. For Travelling by Sea. 12. Wanderlust Just Love to Travel. 13. For those Who Love to Explore. 17. Paris Lovers or Perhaps "A" Word Name. 18. 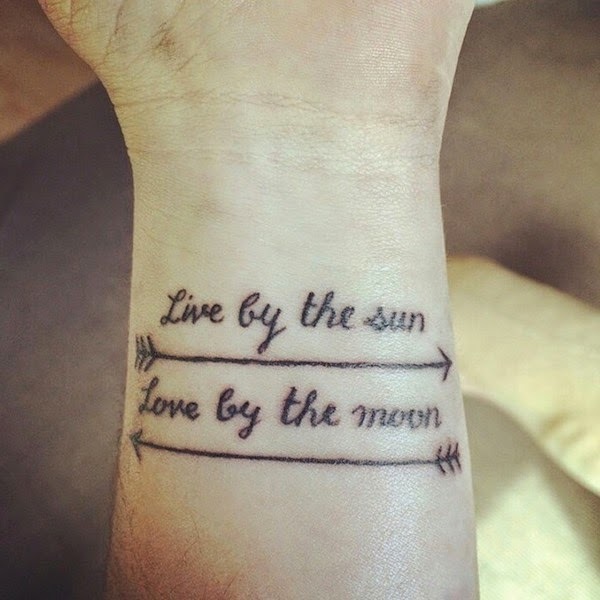 Wrist Tattoo - To Plan out Next Adventure. 19. Love to being a Tourist. 20. Wanderlust Compass Stamp on Wrist. 21. For New York Lovers. 22. For a Great Motto.